I’m a reader, big time. Except, time is the one thing I have very little of. Long gone are the days when I could lay in bed to unwind with a book. But, here and there I’ll make an exception and go back to treating myself to a good book. The long, and more relaxed summer days are perfect for reading a few good books. Who says the kids should be the only ones with a summer reading list? 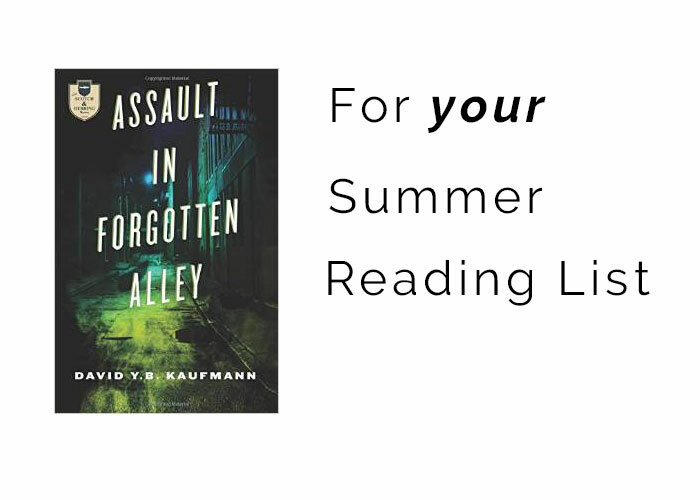 So here’s one to add to your list: Assault in Forgotten Alley by David Kaufmann, PhD. When I bought this book I thought I would take it on my plane trip to Guatemala. But, I opened the book out of curiosity, a week earlier, on Shavout and then… well let’s just say, it’s a good thing that it was Yom Tov, and I had plenty of free time. Otherwise, a lot of balls would have been dropped around here, because I was not able to put the book down for two days. So, since many of you will go away on vacation trips soon, I must tell you to consider taking Assault in Forgotten Alley along. I wish I had a book like this one when I was stuck in the plane for two hours as the airline figured out the pilots’ delays and all sorts of other stuff, on my way to Guatemala. Assault in Forgotten Alley is the best mystery I’ve read in a long time. It’s almost 500 pages and you just won’t want to put it down. The story of a friendship between a Rabbi and a Scottish detective is brilliantly weaved into the plot as both try to solve the mysterious beating of a black boy in an alley in Brooklyn. The author takes you back completely to a different era in history. I stumbled upon the book because the author, David Kaufmann, PhD, is our friend’s father. He is living in Houston, temporarily, so I had the pleasure of personally congratulate him and thank him for his work. Also, like many of you, I have to be extra vigilant about what I read, because it will inevitably be picked up by my older children- avid readers themselves. So, while this was an incredibly clean book- something refreshing to find today- it did not compromise in brilliance. Here’s the link to Assault in Forgotten Alley. If you like a good mystery, do yourself a favor, order this, and go read it by the pool or the beach ;-). 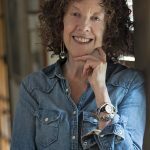 Any good Jewish books you’ve read lately? Do tell, as I need more for my summer reading list ;-) Anything in Spanish?